Happy Friday!!! 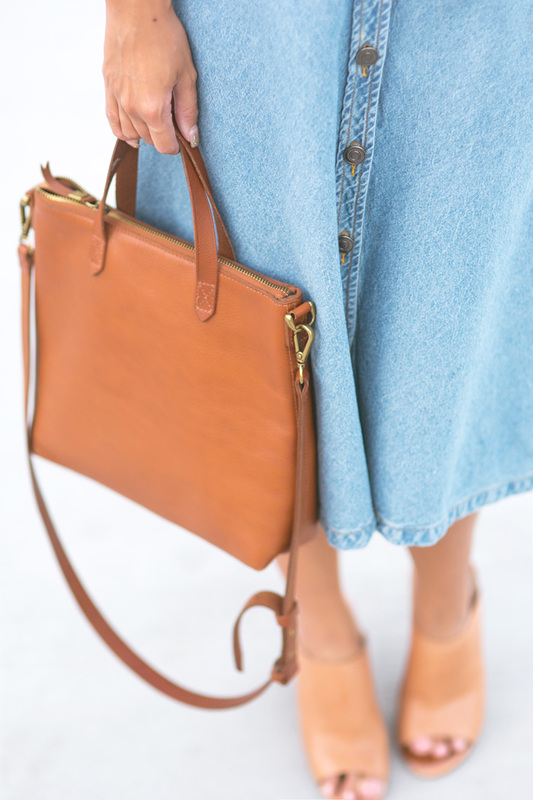 I’m loving denim for the Fall and this denim midi skirt is one of my favorites in rotation. I love the button up detailing and how wonderfully it pairs with simple tops like this stripe one. This look shows that dressing for Fridays can be casual and chic.